90% of people who use these tools do not know how to properly fit them or even properly put them on. This is the most basic step in using any training tool. Now, I want them to convince me that they’re using a prong collar correctly when it isn’t even on your dog correctly? 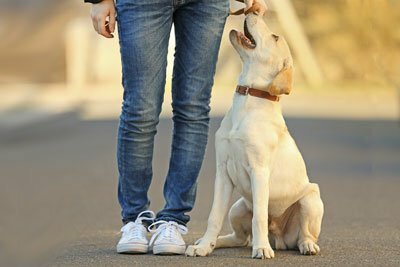 It is really hard to permanently scar a dog mentally, create major behavior problems, or create anxious behavior with positive training methods. I would say 85-90 percent of collars I see while out in public are improperly fit. How do they know how to properly use it if they can’t fit it on their dog? Correct timing that can often takes years to master and tools like prong collars, gentle leaders, and e-collars must be used correctly to be effective. To correctly use this type of training tool one must haves perfect timing, a strong understanding of training methods comma and a wonderful ability to read a dog once they have learned all this seldom do they need these types of Correction devices. I often find that when somebody is looking at buying these types of tools and you ask them why they need it their answer is often well, my dog pulls really bad on walks and I was hoping it would help, or my dog lunges at other dogs and I was hoping it would help. Here is the truth. When I ask these people who want their dogs to walk well on leash, “if you say heel in the house holding something her really wants, does your dog come to your left side and sit?” they often answer, “no”. If you answered “no”, my question for you is why would you punish a dog for not preforming a behavior you haven’t taught him? If he cannot perform a heel in the house without distraction why would you punish him for not being able to do it outside on a walk with the presence of distraction like squirrels and other dogs? This doesn’t sound very fair to me. No tool should ever replace good dog training, especially not one that can have adverse side effects.